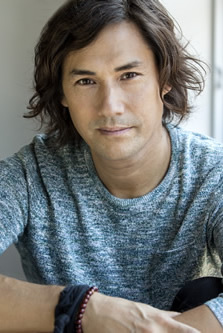 When innovative companies like 3M, Cisco, Pepsi, Deloitte, Ubisoft and SAP want to re-inspire creativity in their employees and executives they bring in David Usher. A creative tour de force, David is the front man of the internationally acclaimed rock band Moist, and a solo artist who has sold more than 1.4 million albums, won countless awards—including five Junos—and performed at sold-out venues around the world. Believing that creativity and creative success is a learnable skill that anyone can master, his unique and dynamic presentations employ music and video to help people to reboot their creativity in a world of disruptive change. Using examples ranging from the disruption of the music business by the digital economy to his personal experience at the forefront of the artificial intelligence revolution working with companies like Google Brain and Element AI, David explains why, now more than ever, creativity and innovation is the only way forward and your last, best competitive advantage. David has a degree in political science from Simon Fraser University, and is the bestselling author of a book on creativity and the creative process, Let the Elephants Run, Unlock Your Creativity and Change Everything.